After Star Wars became a box office hit, various U.S. government agencies made Public Service Announcements for TV. They're dreadful, but if you're a Star Wars fan, you need to watch these. R2's little pokey-arm thing is finally put to use! Too bad it's for (gasp!) smoking! "Smoking does dreadful things to your lungs!" 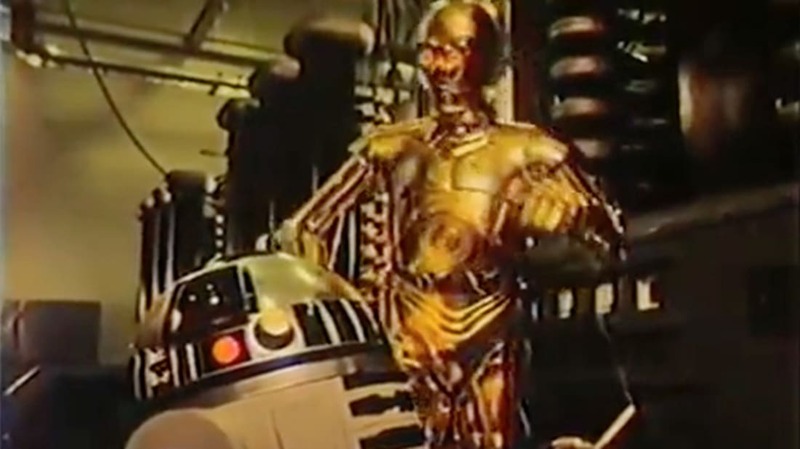 -C-3PO to R2-D2, neither of whom have lungs. C-3PO has a message for Earth parents. This must have cost at least $50 to make.